For its largely pretty good Season 6, Community has gone through arguably as many changes as it has in any of its past few seasons, which have seen cast members come and go. 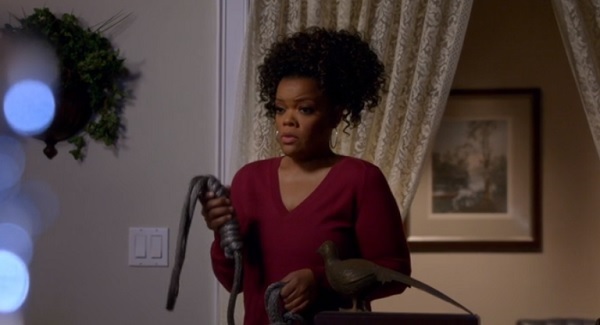 But it looks like one of the former cast members will be returning for the Season 6 finale, as actress Yvette Nicole Brown is reportedly set to reprise her role of the optimistically devout Shirley Bennett. Let’s all have a Shirley’s Sandwich in celebration. News of Brown’s involvement in the finale hasn’t come officially from its current home at Yahoo Screen, but rather a Reddit user who posted the episode’s guest listing, where her name popped up. This isn’t all that surprising, all things considered, as Brown’s exit from the show was an amicable one, unlike that of Chevy Chase, and it was to allow her to deal with family issues. She’d even previously said a recurring role would have worked for her. Fans know that this won’t even be the first time that Shirley has popped up in Season 6, as she was also in the season premiere “Ladders.” Seen above in svelte-mode, Shirley was playing opposite Steven Weber in a promo for a fake NBC drama called The Butcher and the Baker. And it seems like that same faux-role could possibly come into play for the finale, as the episode description sees Abed asking the other characters “to imagine pitching a TV show about what they would do in Season 7.” Would I watch an entire season of The Butcher and the Baker? You bet your wheelchair I would. I can’t imagine how ridiculously meta the episode is going to be, and I expect nearly every TV trope imaginable to make an appearance. 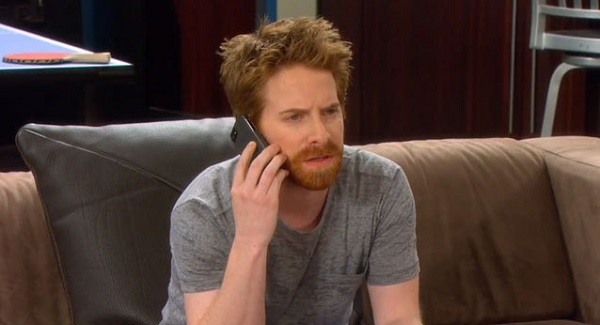 And for what it’s worth, that episode will also have a guest spot for Seth Green, though I hope that doesn’t mean we’re getting a Dads parody. With Season 6 coming to a close and little to no talk of a movie on the horizon, the future of Community is entirely up in the air. Maybe it’ll be back on Yahoo! for the Season 7 that the finale is hoping for, or maybe it will head over to Hulu for a while before making its way to Crackle, after a quick Amazon Instant detour. Maybe just give the Dean a spinoff?